Euronext’s ETF offering consists of historical Regulated Markets for listing and trading ETFs.,. Access our 5 local markets in Europe (Amsterdam, Brussels, Dublin, Lisbon and Paris) for the listing of your Equity or Fixed income ETFs in 3-5 business days - the fastest listing process in Europe. 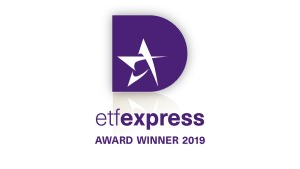 Benefit from a dynamic and MiFID II compliant ETF market on Euronext providing a diverse pool of liquidity and investors, heightened security with strong safeguards and excellent market quality. Euronext also offers tailor-made services with the possibility for multi-listing, cross–listing, as well as multi-currency listing and trading (up to 20 currencies). Listing on Euronext also helps to enhance your visibility thanks to our dedicated communication channels. Furthermore, Euronext’s liquidity provider programme offers superior market depth and high spreads, resulting in improved volume and trading quality. Members need to enter in to an ETF market maker agreement and can also sign a market maker scheme with incentives. Euronext will also soon be launching a one-stop pan-European trading platform for ETFs: Euronext ETF Access. It is a complimentary solution to our Regulated Markets aiming to access all European listed ETFs with innovative trading models. Euronext will launch a one-stop shop pan-European ETF platform, designed with the ETF industry, giving access to all European listed ETFs, bringing together all market participants and providing various choices of innovative trading models, including continuous matching, RFQ and NAV trading. The US Asset Management firm State Street Global Advisors listed 10 U.S. Select Sector UCITS SPDR ETF’s on Euronext Amsterdam. This is the first time investors can directly invest in the US sector by using their local markets. Watch the video in which State Street Global Advisors' Philippe Roset explains the opportunities that these new ETFs offer to investors.